Prepare the pineapple by coring and peeling it. Cut the flesh into slices about 2.5cm thick. Combine the honey, melted butter, and lemon/lime juice in a small bowl. Stir well. 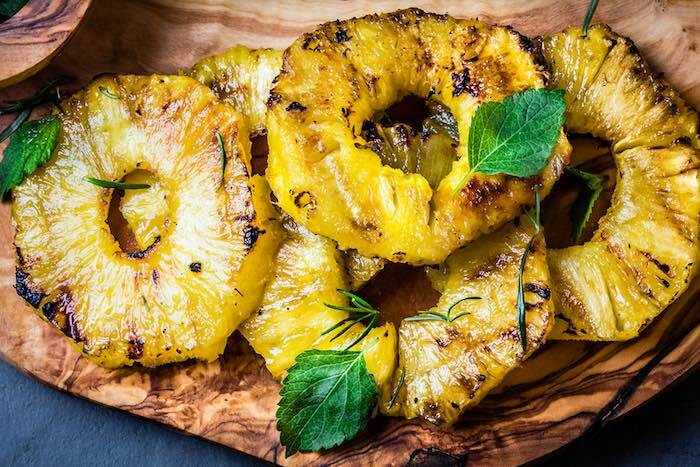 Cook the pineapple on a grill. This could be your barbecue or a grill pan on your cooktop. Look for dark brown caramelisation this should 3-4 minutes per side. Toss the mint over the warm pineapple and serve immediately with vanilla-bean ice cream. 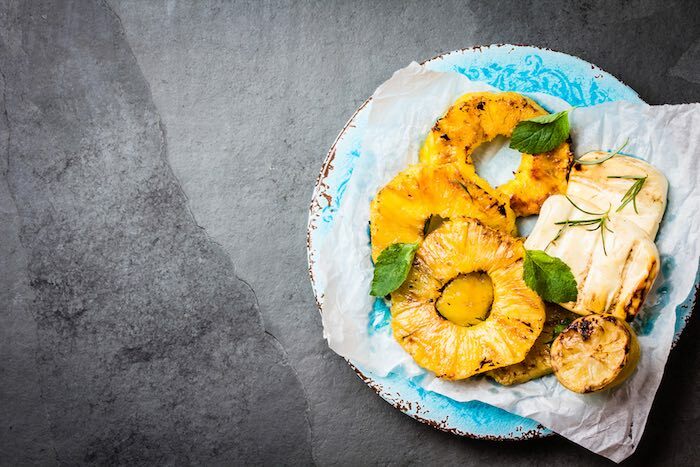 Recipe twist: For a more salty, savoury twist on this dish you can serve the pineapple with grilled haloumi instead of ice cream. If you’re entertaining this winter (or just enjoy a sweet treat yourself!) this caramelised pineapple dessert is a seasonal, delicious choice. With pineapples in abundance, this is not only a grown-up, crowd-pleaser when served with premium vanilla bean ice-cream but you’re actually supporting our own Aussie farmers. If that’s not a reason to ask for seconds, I don’t know what is! My favourite thing about making Caramelised Pineapple with Mint & Rosemary? (Aside from the fact it’s a divine, flavour-fest of course!) This dish sounds so posh and restaurant-like but it’s truly super easy. Your guests will think your Michelin-star trained, just don’t tell them otherwise! Preparation 10 minutes / Marinating 30mins+ / Cooking time 8 minutes per batch / Serves 4-6 adults. 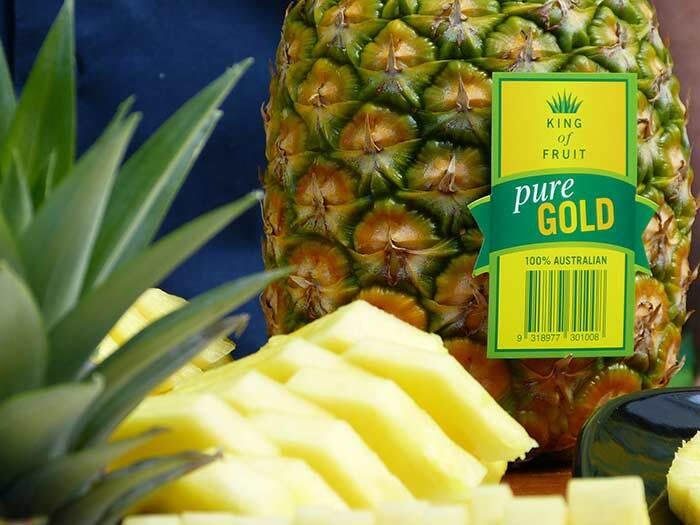 Be sure to look for the Pure Gold pineapple variety (that’s the ones without the crown) as they’re sweet eating all year round! They’re in abundance at the moment and great value at your local supermarket. If you love pineapple as much as the Mum Central team you might also like to check out the Sneaky High Fibre Pineapple Smoothie, Immune Boosting Incredible Hulk Juice or our Baked Hawaiian Cheesy Chicken. I Scream, You Scream, We All Scream For Mint Chocolate Chip Ice Cream!